Gwybodaeth isod / Information below on The Club; Membership; Social events; The Committee and Club Constitution. 2018 Aelodau'r pwyllgor / Committee members. JUNIOR CO-ODINATOR:	Vacant.Click to E-mail. Y Clwb / The Club. "Tra môr, tra Meirion." this translates as "While the sea lasts, so shall Meirionnydd". Amcan y clwb / Club objective. The concept for the club was first conceived in Lanzarote in 2005 and established in Dolgellau in 2006. The objective is to arrange races and promote amateur athletics open to members from the age of 11 years and upwards. The Club is affiliated for Road, Fell and Cross Country. In furtherance of its objectives the club may hold championships,	enter leagues and team competitions, arrange social runs, training sessions, talks, demonstrations and social events. It may publish standards, print newsletters, arrange travel and do any other things which may be incidental to, or conducive to, the encouragement of jogging and running. 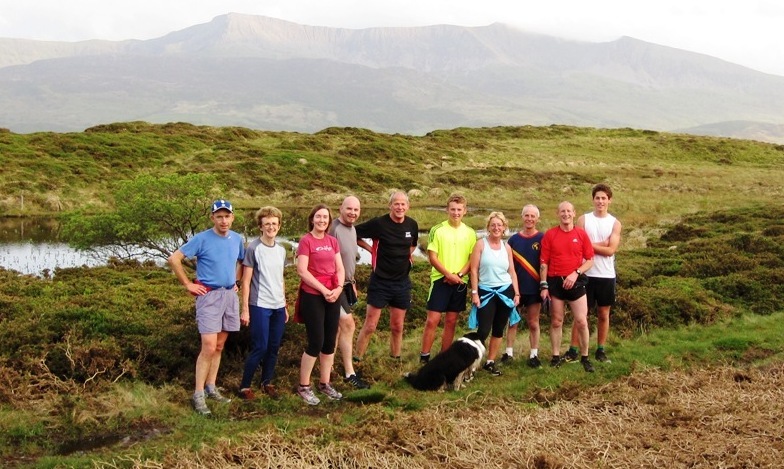 We are a small club based in the South of Snowdonia National Park, Wales, and dedicated to organising races throughout Meirionnydd. We cater	for all abilities of runners, joggers and even social members. From total beginners upwards, The club offers a range of opportunities for social events, training nights and trips away to far flung places, from Tywyn to Tallinn,	Penmaenpool to Prague the possibilities are endless. The Club is affiliated to Welsh Athletics for competitions on the Road, Fell and Cross Country. The Club offers a wide range of membership options. Members wishing to compete in races in club colours must take out First Claim membership, which includes the cost of "Welsh Athletics Affiliation" but we also offer a social membership for those new to running or those wishing to enjoy the "Social" side. Opportunity to attend our weekly evening runs. During the Winter months we start from Dolgellau's Leisure Centre and throughout the Spring and Summer from various wonderful locations around Meirionnydd. Social Events Calendar, from BBQs to beach runs. Make new friends with like minded, and like speed, fellow runners with whom to go training. Advice/support from Leaders in Running Fitness (LiRF) qualified fellow members. All members can get satisfaction from knowing they are contributing to the national framework of athletics in Wales, without which there would be few opportunities for racing, no trained officials and fewer top Welsh athletes. Opportunity to be selected for County, Regional and National events. All benefits of Welsh Athletics affiliation - Insurance while running, £2 off many Welsh Athletics road races. A number of social events are organised each year. After each weekly evening training run there will be a gathering in	a local pub. In the evening after each club-organised race there will also be a social get-together. Is Gadeirydd / Vice Chair. Swyddog Aelodaeth / Membership secretary. Swyddog cymdeithasu / Social secretary. Swyddog ieuenctid / Juniors c-ordinator. Swyddog Iechyd / Welfare officer. Swyddog hysbysu rasus / Race promotion officer. The Chair of the Club is the Officer elected for a fixed term by the Club to officiate at it’s meetings for a period of time as defined by the Constitution. The Chair requires a knowledge of the subjects under discussion, clarity of mind, patience and tact in dealing with other people and an ability to command respect and enforce discipline. The Chair must ensure that the meeting makes the decisions required by the business in hand in a proper manner but they also function as the leader of the team. The Club Secretary will confer with the Chair as to the business to be discussed, so that a proper agenda may be drawn up. The Chair will ensure that the business of the meeting is conducted in accordance with the agenda. The Chair will do their utmost to ensure that items of business are thoroughly discussed. The Chair should give neutral guidance to the meeting. The Chair is often a voting member of the committee but most Chairs will not exercise this power unless they felt strongly that they should give a	“lead” on a matter of policy. In the event of a tied vote the Chair has a casting vote which they may use to break the tie. The Chair will ensure the Committee functions as a working team. They will welcome new members to the Committee and introduce visiting guests and speakers. In lieu of a Club President the Chair will officiate on major public occasions and events. Quite often the Chair is the correct person to undertake representation of the Club on outside bodies. If specialist knowledge is required then another committee member may be more appropriate. Ensuring that all tasks are carried out by the Committee to ensure each race happens as planned. 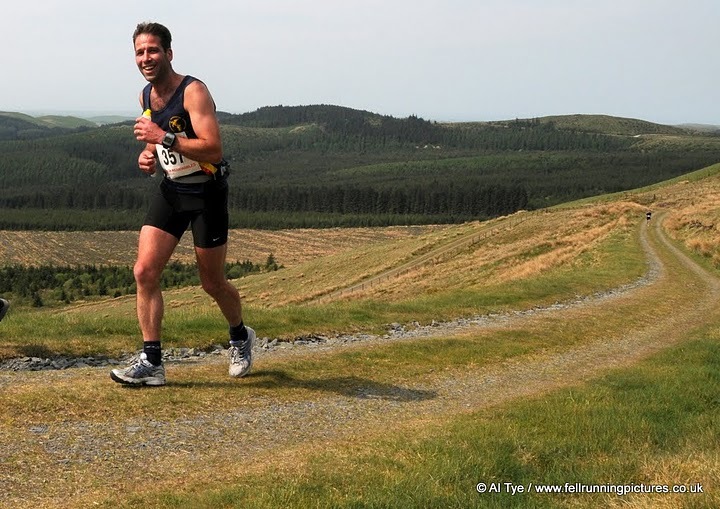 Insure fell races by becoming WFRA member (claim money from Club) and entering the race adverts in the WFRA and FRA calendars Act as MC on race days, undertaking runners briefing and race presentations. Co-ordinate emergency services if required during races. VICE CHAIR: Click to E-mail. Acts as stand in for Club Chairman with all duties. Can shadow and assist Chairman to gain experience of race planning? See also suggestion of role as “Race Controller” below. Role of the Club General Secretary. The Secretary is the Executive Officer of the Club. The effective functioning of the Club therefore depends on their work and ability to work with others. The general aim should be to treat the Committee as a team with everybody having an important role to play (which should help alleviate the over work of the Secretary!). Deal promptly with all correspondence addressed to the Club, either personally or by re-directing to another more relevant committee member. To arrange and attend committee meetings, usually monthly, by booking venue, informing other committee members and preparing an agenda with the Chair. Make them available in advance of the next meeting (compile in consultation with Chair). Accurate record of whereabouts of the holders of perpetual club trophies etc. To arrange the Club AGM, ensuring proposed changes to club rules, constitution etc are processed in the correct manner, that section secretary reports	are available and that award winners are notified that their presence is required. To liaise with County, Area and National governing bodies and ensure full representation at their AGM etc. The Secretaries reward for the conscientious carrying out of their duties is the ever increasing reputation of the Club and it’s members and the confidence of colleagues. MEMBERSHIP SECRETARY: Click to E-mail. Pass all monies on to treasurer on at least monthly basis and liaise to find any members who have sent money direct to treasurer and amend records to suite. Assist treasurer at end of year in reconciling membership income. Coordinating marshalling of races, the right people in the right places. Briefing marshals, dispensing hi-vis, first aid kits, paperwork and radios on race day. Organise soup team for Rhobell. SOCIAL SECRETARY: Click to E-mail. Organising and promoting programme of Social events for club members throughout the year, especially get together after club races. JUNIOR CO-ODINATOR:	Click to E-mail. Clubs or a network of clubs will benefit from identifying a volunteer (preferably a coach) who can specialise in building links with local schools in order to recruit new athletes through after school clubs, Startrack, Sportshall and competition activities. There is also a need for a designated person to liaise with local colleges and universities, which could be a separate role. Liaise with local colleges and universities, taking advantage of opportunities to promote the club or network of clubs at Fresher’s weeks and other events to recruit potential athletes, coaches volunteers and officials. WELFARE OFFICER: Click to E-mail. A supportive and positive environment in which children and adults can enjoy athletics safely is vital. You’ll provide leadership in the safeguarding of children and vulnerable adults within the club and act as a key point of contact for anyone needing to support or guidance. You will also need to maintain relationships with the UK Athletics welfare team. You’ll report to the club committee and work closely with the club team managers and the club coaching coordinator. Annually you will have to undertake an appropriate safeguarding course. It is recommended that this role is carried out by two people, one male and one female. RACE PROMOTION & ADVERTISING: Click to E-mail. LADIES TEAM CAPTAIN: Click to E-mail. MENS TEAM CAPTAIN: Click to E-mail. Maintain the News section of the website covering recent performances and forthcoming races / events. Updates race entry forms onto the system. Maintain club and course records for course / distance and our races. Maintain the technical areas of the website such as e-mail addresses / passwords etc, and look at developments possibly in Social Media for creating links from the website to the Club Facebook page and Facebook group. Putting results and synopsis of race onto website.